Whether it is a casual blog or selling products it is imperative to have a good website. Attracting the kind of visitors who will convert into customers is a work in progress. There are some important things about online marketing that every entrepreneur needs to be aware of, but for a start, let’s look at what digital marketing is. Digital marketing or data-driven marketing is an umbrella term for the marketing of products or services using a digital medium. It is the type of online marketing services that is done mainly on the Internet, but it is also done on any other digital medium including mobile phones, display advertising, etc. It has proven to deliver better growth in revenue and has given businesses up to three-fold increase in their profit as per a recent survey. This is the first and the most important step. You should know what your potential customers would be looking for and what they are most likely to search. This will be useful in targeting people who are willing to commit to purchasing from you. Nowadays, most people are regular social media users, which make it an ideal place to search for potential customers. However, you should not just be present on various social media platforms. You should be able to choose the right platform from where you are likely to get many customers. For example, suppose you are running an online portal for selling clothes and accessories, then social media platforms like Instagram, Facebook and Pinterest that support strong visuals would be a good option to get to your audience. Whenever a new user visits your website, you can immediately offer them the prospect of adding them to your mailing list or in other words use e-mail marketing. In this way, you can notify people about upcoming products and services. A mailing list is very important for creating a solid customer base. Having a website is not enough, you should also have the content that would attract readers. All the measures taken to improve a website’s position in the search rankings is referred to as on page optimisation. Examples of this include measures to optimise the descriptions and title tags. You should constantly create new content for your website as it will keep regular visitors engaged and would give updated new information to search engines. The technique which helps a website to improve its ranking on the search engine results page is called off-page optimisation. These are the factors that work in the background outside the confines of your web pages that will work towards improving your website’s search rankings. 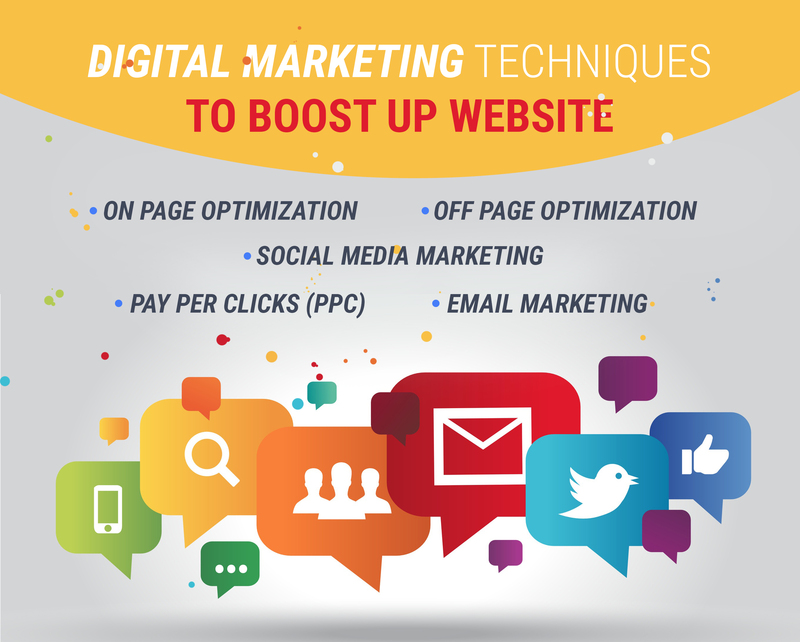 Without applying these factors your website can not rank. Some of these factors are link building using forum signature, comment links, etc; social media; videos; blogging, etc. A blog for your website will not only make your website more attractive but also will passively increase traffic to your website and website should be shared on various social media platforms if it needs references from another website. Therefore, such off page factors are essential for any website to improve its ranking. In addition, PPC or pay-per-click, a model of internet marketing where advertisers pay a fee each time one of their ads is clicked can also be used to improve. It’s a method of buying visits to your website, rather than attempting to organically earn them. PPC is a common form of search engine advertising. A perfect marketing campaign can be created by a well-organized team of professionals.